White Creeping Mazus Mazus reptans ?Albus? Although relatively unknown, Creeping Mazus is a beautiful groundcover for any sunny to partly shaded area with reasonably moist soil. 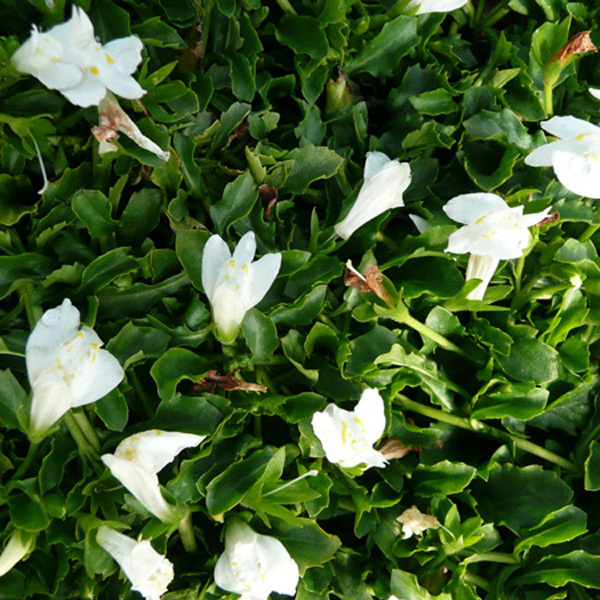 Plants form a low, creeping mat of green leaves, studded with small white flowers over a long season. Perfect for planting between flagstones or as an evergreen lawn substitute. Plants are easily divided by ripping apart into pieces and replanting each small bit with roots attached. Tolerates hot, humid summers.